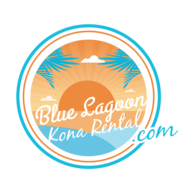 Blue Lagoon Vacation Rental Kona Coast. Kona Home 6 Bedroom, 5 Bath, sunset view, private pool. The Blue Lagoon Kona Rental - A 6 Bdrm, 5 Bth with private pool near Ali'i Dr and Magic Sands Beach In Kona Hawaii.